A central Florida propane gas plant was rocked by a series of massive explosions that left eight people injured, half of them are in critical condition. The entire neighborhood surrounding the propane gas plant heard blast after blast was felt when over 53,000 20-pound propane tanks exploded. According to John Herrell of the Lake County Sheriff’s Office, no one died despite massive blasts that ripped through the Blue Rhino propane plant late Monday night. Management said that all 14 of the full time employees and the 10 part time employees who worked at the plant have been accounted for. Tavares Fire Chief Richard Keith said possible causes of the explosion may be either equipment malfunction or possibly human error. Sabotage was not suspected in the accident. One person injured in the explosion was listed in critical condition at University of Florida Health Shands Hospital and three others were listed in critical condition at Orlando Regional Medical Center. Herrell said some others drove themselves to area hospitals. Tavares Battalion Commander Eric Wages said five workers walked up to a command center firefighters set up near the plant Monday night with skin hanging off their arms, torso and faces. He said their arms were outstretched and they were in complete shock. The Blue Rhino plant, which is northwest of Orlando, refills propane tanks which are typically used for barbecues and other appliances. Blue Rhino is a subsidiary of Kansas-based national propane provider Ferrellgas. Fortunately, three 33,000-pound tanks of propane sat untouched. Lake County Battalion Chief Chris Croughwell said the hoses designed to spray water on the large tanks in case of fire did not go off as planned because they had to be manually activated. “Most sane people don’t stick around for an event like this,” he added. Residents of 50 homes were evacuated Monday night but residents were allowed back in about four hours later. The cause of the accident is still under investigation. No one goes to work thinking that they are going to be injured on the job. Both employers and workers take precautions to maintain the safety of themselves and others. In the state of Florida, if you are injured at work, you are covered regardless of who was at fault for your injury. When you are injured at work, Florida law states that you only need to show that you got hurt while doing something work related and during work hours. This means that for workman’s compensation, you are typically covered if you suffered your accident on the job. If you or a loved one have been injured or seriously hurt on the job it is important for you to have adequate legal representation. 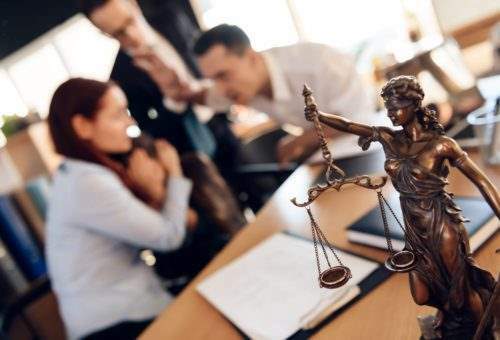 Our legal team has years of experience in the Florida courts and we have a proven track record for dedication to our clients and getting them the compensation that they deserve. Expenses such as medical expenses, long term care, rehabilitation and possible disability can add up. When you call our offices, we will match you with an attorney who will go over the details of your case and give you sound legal advice. Your initial consultation with us is free, confidential and without obligation.